Ladies, do you know what's your skin type? Dry, combination or oily? Mine changes depending on the weather. On cold and rainy days especially during the Christmas season, I can feel my skin dry so I have to bring a moisturiser with me all the time. However, I noticed my skin getting too oily during summer. Based on my experience, it's easier to correct dry skin over oily. With oily skin, you are more prone to acne and pimples. I'm glad that there's a new product in the market that works on oily skin and brightens dark impurities caused by acne and pimple marks. 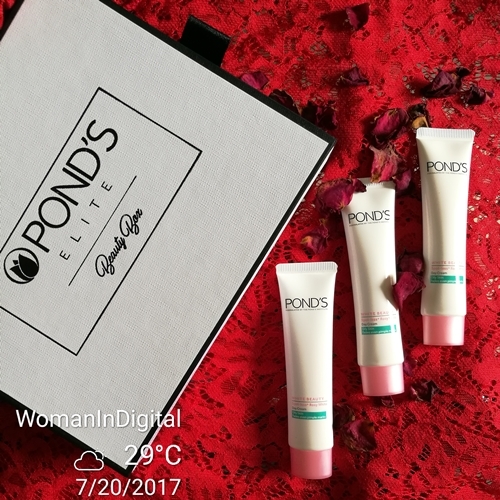 A couple of days ago, I received a Pond's Elite beauty box. It came with three tubes of the new Pond's White Detox Day Cream for Oily Skin. I was excited to try. I mean why not? I'm a Pond's girl since college. So I tried it on my face and put it to test attending a whole day event. The venue I went to was cute and dainty, but it was overcrowded. It was a little hot inside as well but understandable since there were a lot of guests and spotlights were turned on. Despite all of these, my skin still looks naturally-flawless and not too oily especially on the T-zone. What's the secret? Apply a pea sized amount of Pond's White Detox Day Cream all over cleansed face & neck. Apply regularly especially in the morning. In case of any irritation, discontinue use and consult a dermatologist. I recommend to avoid too much sun exposure or use a sunblock to prevent from sun damage. Pond's Detox Day Cream provides a silky matte pinkish finish. I'm glad it's non-drying to the skin and smells good as well. 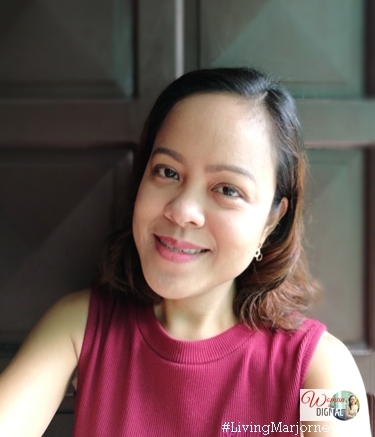 I like the no-makeup look Pond's Detox Day Cream gives to my face. It has double whitening formula with advanced vitamin B3+ which helps boost skin's natural whitening ability from deep inside. It also promises to brighten stubborn pimple marks for spotless-rosy white skin.